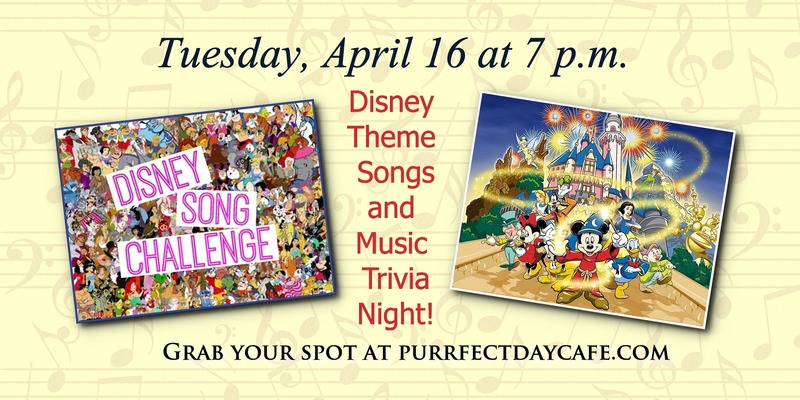 You’ll find all the purrfect happenings at the café right here! 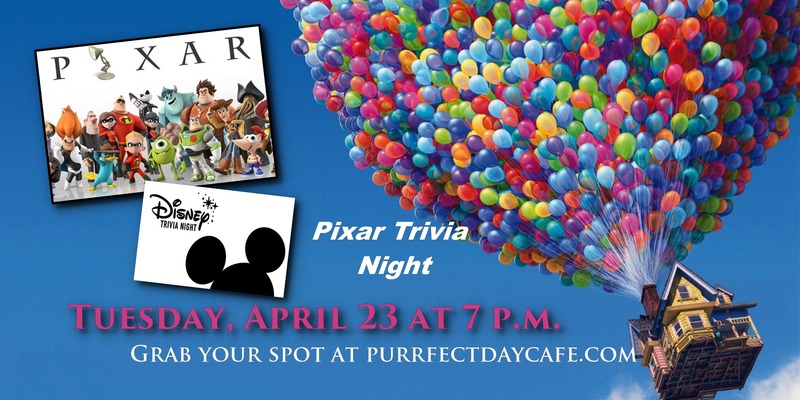 Find out all about our upcoming purrfect events at the café right here! EVERY Tuesday and Thursday is ALL AGES in the Kitty Lounge! Normally, our age minimum is 6 years old, BUT parents can bring the entire family on Tuesdays and Thursdays before 6 p.m.! NOTE: Anyone going in the kitty lounge MUST pay the session fee. It is PURR PERSON. 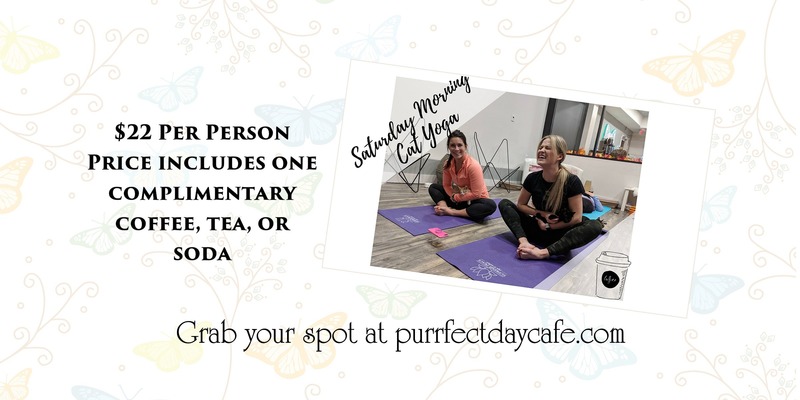 Yoga, kittens and cats… Oh, my! 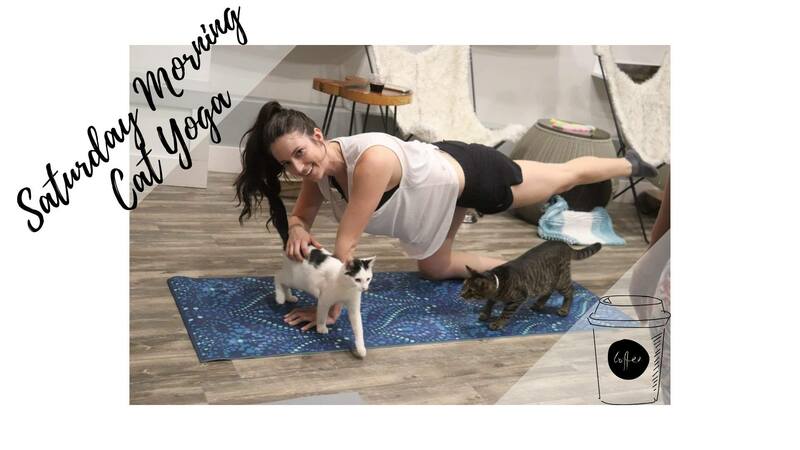 If you are looking for the Purrfect mix of exercise and cuddles, look no further than this yoga with cats experience. Our residents are particularly active and full of poses and cuddles in the morning. 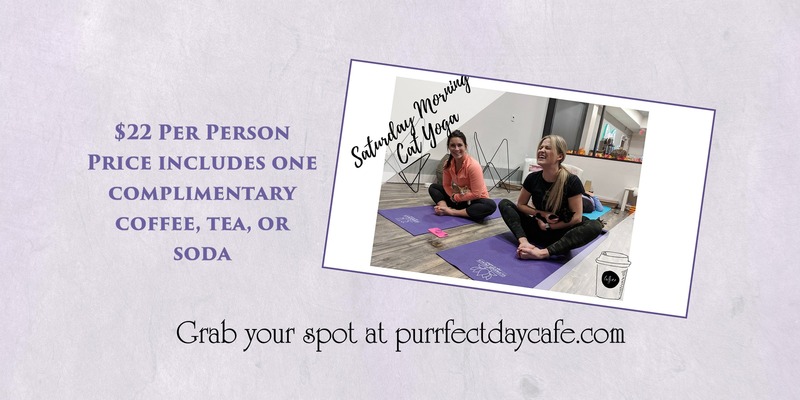 Join RYT Betsy Durham as she leads you and the cats through this yoga journey. $22.00 per session, per person. **Please note there is a 24 hour cancellation policy. Think you know your Disney? Grab your fellow fans and prove it! 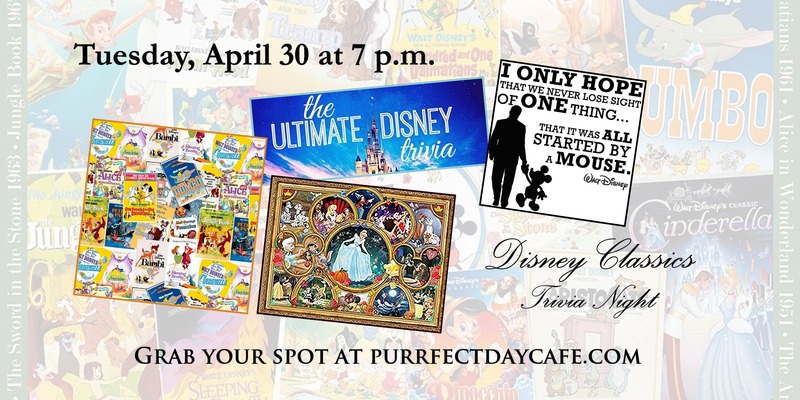 It’s our special DISNEY TRIVIA MONTH! The players with the highest overall scores (the more you play, the higher your score) win a PDC PRIZE PACK at the end of the month! Weekly prizes for each night’s winner as well! You must register individually, but you may play as a team when you arrive each night. Be sure to pay attention to which topic you are registering for so you will be a BEAST and win! 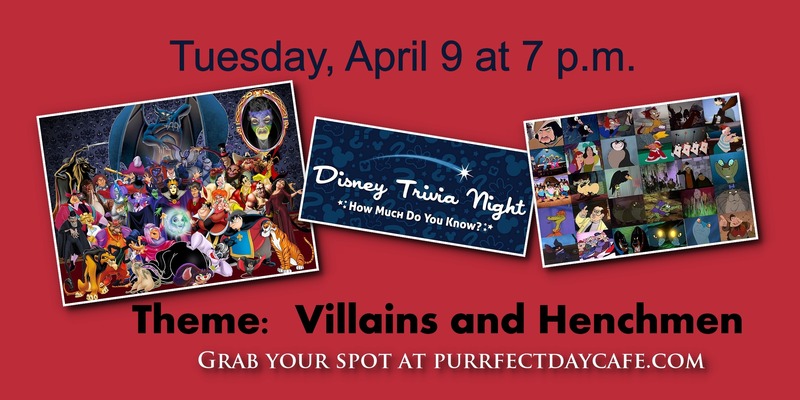 $15 PURR PERSON and all trivia events include TIME IN THE KITTY LOUNGE! FAMILY-FRIENDLY! All ages welcome! Only 20 spots available! Happy Meow-er Specials all night long! 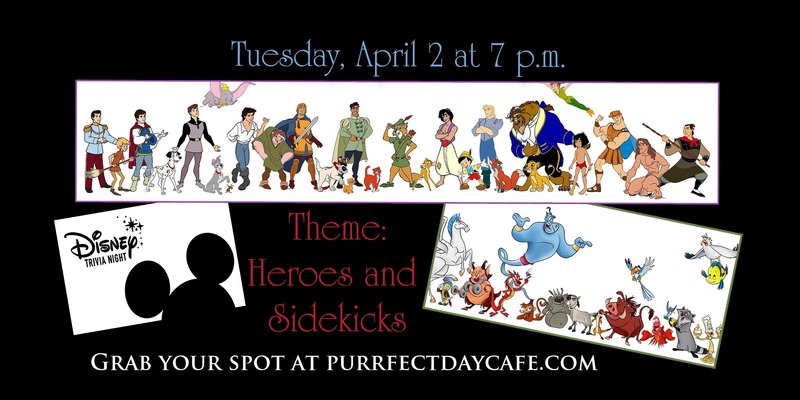 And we will have a special Disney-themed drinks for adults and kiddos! 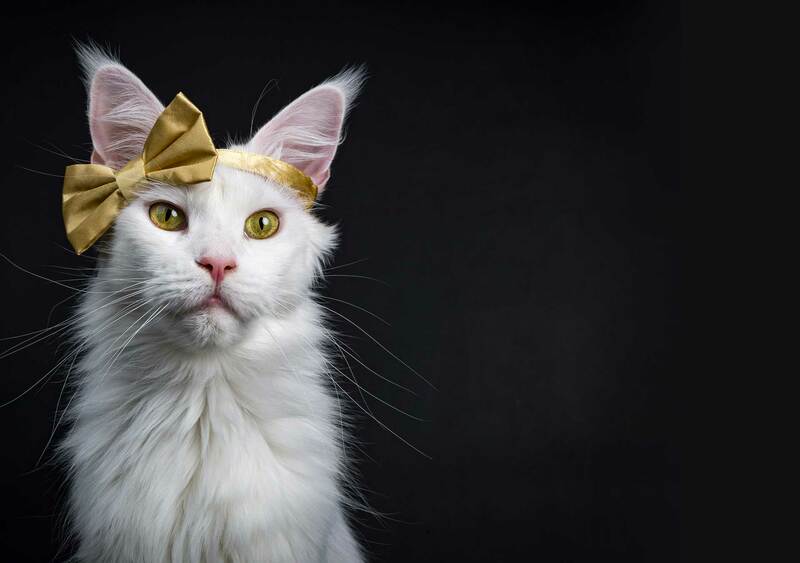 Yoga, kittens and cats… Oh my! If you are looking for the Purrfect mix of exercise and cuddles, look no further than this yoga with cats experience. Our residents are particularly active and full of poses and cuddles in the mornings. 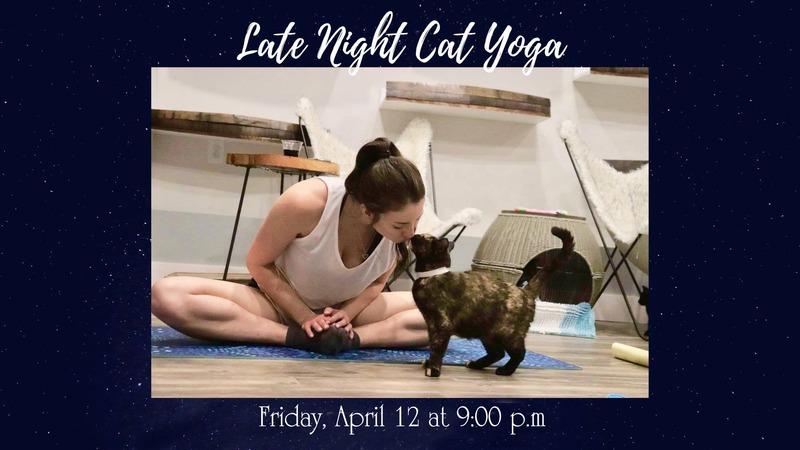 Join RYT Betsy Durham (or a staff member of Betsy’s) as she leads you and the cats through this yoga journey. *$22.00 per session, per person. ***Price includes your choice of a coffee, tea, or soda. The Kentucky Humane Society is preparing for an influx of kittens this spring! 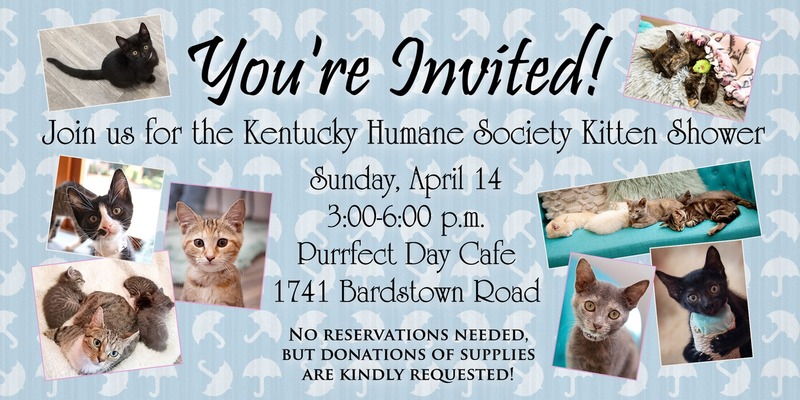 To help us gather all the supplies they will need, we are hosting a kitten shower at Purrfect Day Café on Sunday, April 14, from 3-6 p.m. NO RESERVATIONS NEEDED! Attendees can learn more about fostering opportunities, donate wish list items and meet with staff and volunteers! 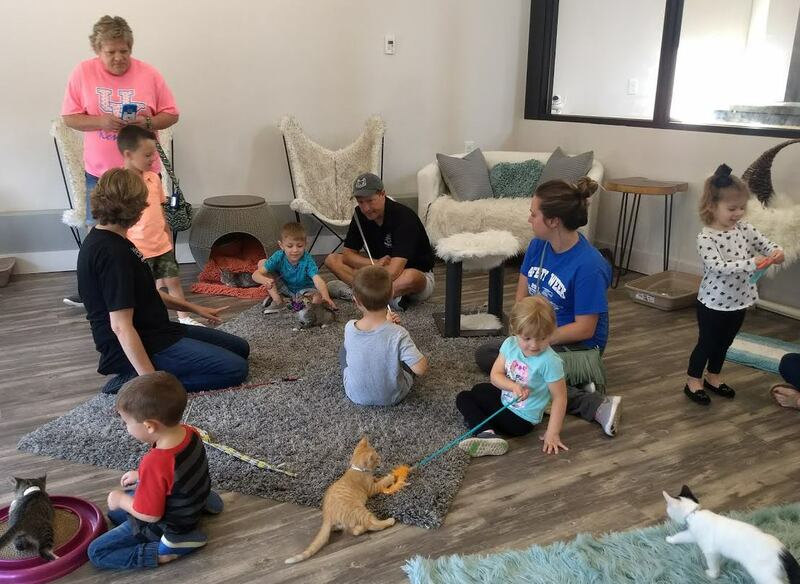 The public is invited to bring “wish list” donations for the kittens and learn about fostering opportunities, kitten care, and the importance of spaying and neutering. There will be kittens, activities for the kids, raffles, grab bags and refreshments. Want to know more? Contact us and we’ll get back with you, hopefully with an answer!